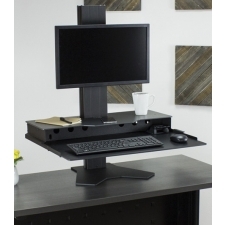 Starting At $446.99 + Free Shipping! 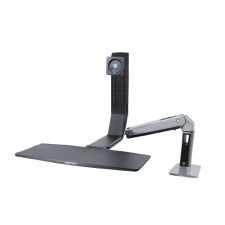 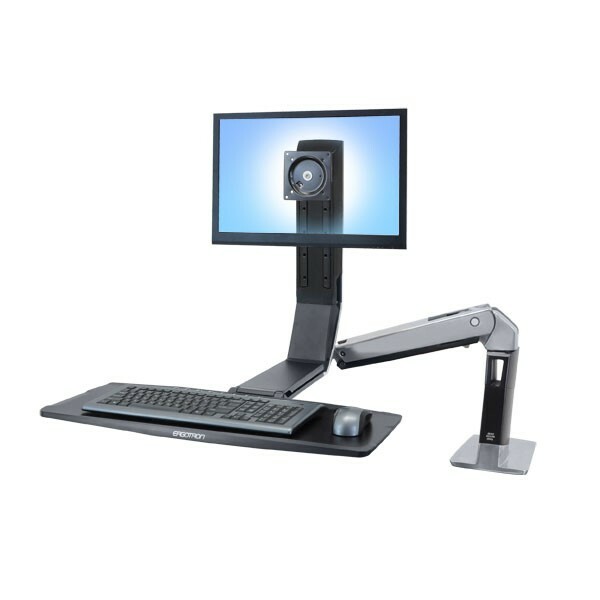 Join the revolution with the Ergotron WorkFit-A Desktop Sit to Stand Workstation. 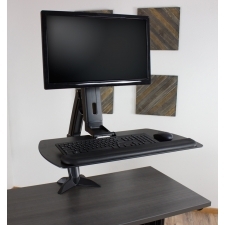 The screen stand and keyboard tray are built of durable, quality materials that are able to support the items, as well as hold them in positions that best suit you. 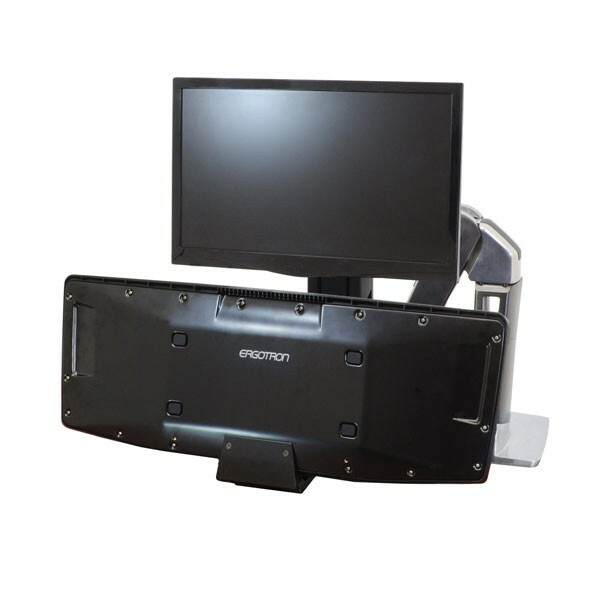 In fact, the keyboard tray can be installed in three different positions and the stand is able to rotate, pan and tilt the monitor. 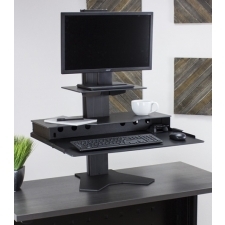 These available options will allow you to customize the settings to your needs and relieve the stress of regular desk work. Keyboard Tray Dimensions: 27" x 9.75"
Maximum monitor height adjustment 25"